The performance of Stravinsky’s ballet by the Bochumer Symphoniker under the baton of Steven Sloane in the surroundings of an intercultural fair was the climax of the Petrushka project. 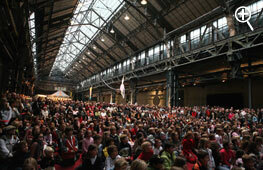 On the 27th October 2007 more than 1,500 people packed into Bochum’s Jahrhunderthalle for the fair. Market stalls tempted the public with Spanish tapas, oriental pastries, Turkish tea and Russian dolls. Children rode an early 20th century carousel to the music of a fairground organ; they took turns on a giant Ferris-wheel, and were spellbound by a Turkish shadow-theatre performance. 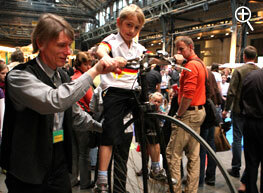 Young performers, some from Essen and some from a circus school in Bochum, displayed their juggling and acrobatic talents, while a children’s choir and a trio playing Russian folk music competed with each other for the crowd’s attention. With few exceptions the entertainers were not professional performers but members of a 150-strong group of children, young people and adults from various cultural backgrounds. 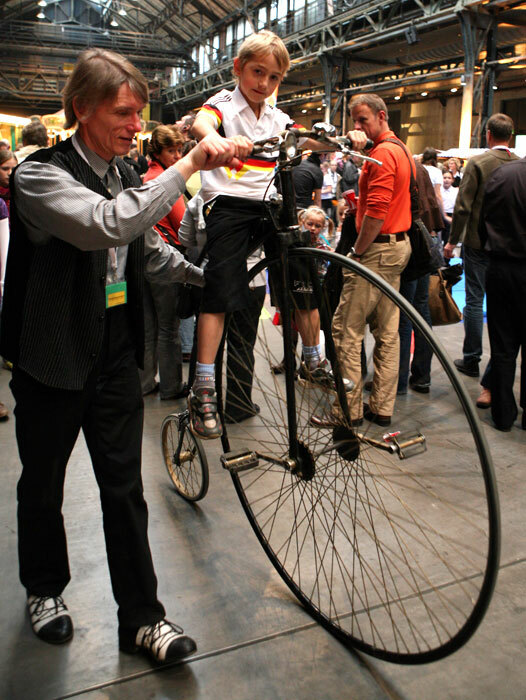 The spirit of Stravinsky’s Petrushka was reflected in the diversity of the fair. Between food stalls serving typical Russian specialities, two puppeteers performed a new version of the Petrushka story specially commissioned for the project. They were accompanied by two piano accordeonists performing the Petrushka music, only one of the many music groups competing with one another and creating the cacophony of sounds and melodies so typical of fairgrounds which Stravinsky evokes so brilliantly in his music. 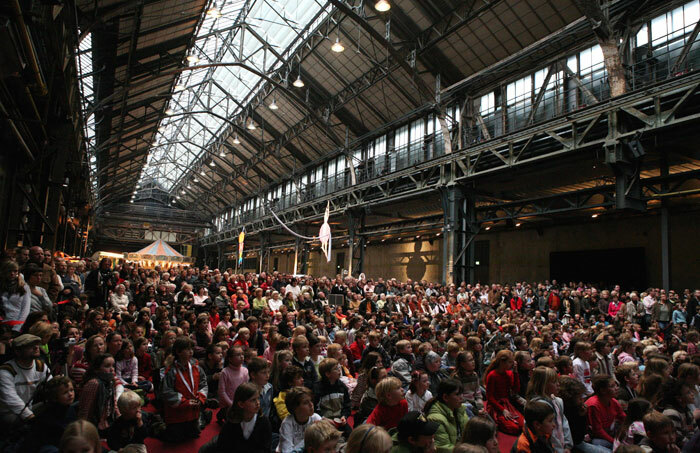 After an hour of fairground activities, the musicians of the Bochumer Symphoniker emerged from the crowd to perform the first part of the Petrushka performance, announced by trumpet fanfares. 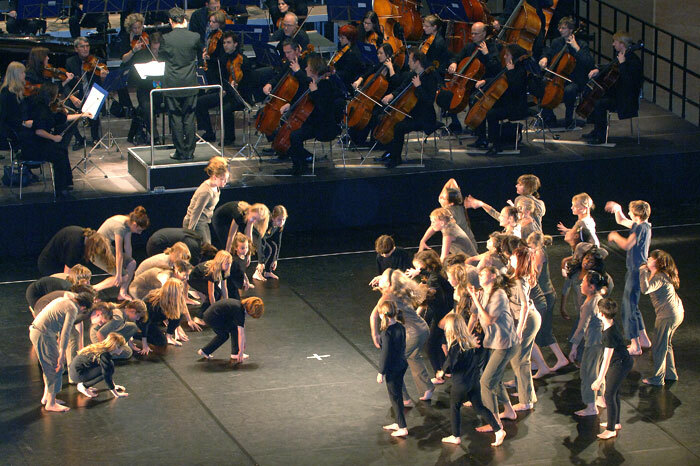 The Bochumer Symphoniker shared the stage with fifty primary and high-school children [Grund- und Hauptschüler] from Essen and Mülheim, who performed a choreography of the fairground sections of Petrushka. Other sections of the work were accompanied by a film by the English animation artist Victor Craven, which showed the story of Petrushka and helped the audience to understand Stravinsky’s complex musical processes.